radio actress Marian Jordan was born in Peoria Illinois. 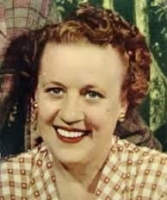 She is most remembered for portraying Molly McGee, the patient, common sense, honey-natured wife of Fibber McGee on the NBC radio comedy hit Fibber McGee and Molly from 1935–1959. She starred on this series opposite her real-life husband Jim Jordan. She died of cancer April 7 1961 at age 62. Also in 1898, Bessie Smith, considered to be the greatest woman blues singer, was born in Knoxville, Tennessee. Between 1923 and ’33, she recorded more than 100 blues, such as “St. Louis Blues,” “Nobody Knows You When You’re Down and Out” and “Gimme a Pig-Foot and a Bottle of Beer.” Bessie Smith influenced every female blues singer to follow, from Billie Holiday to Janis Joplin. She died following a car crash near Clarkedale, Mississippi on September 26th, 1937 at age 39. In 1912, Cape Race, Newfoundland radio operators Robert Hunston and James Goodwin heard the last of the RMS Titanic‘s distress calls as the stricken ship continued to send out signals. Only 711 survived out of a total of 2,224 Titanic passengers and crew. In 1917, character actor Hans Conried was born in Baltimore. He is best remembered for playing Professor Kropotkin on the radio and film versions of My Friend Irma, for his work as Uncle Tonoose on Danny Thomas‘s TV sitcom Make Room for Daddy, and Dr. Miller on TV’s Burns & Allen Show. He suffered a fatal heart attack Jan. 5 1982 at age 64. In 1951, the Billboard No. 1 Pop Hit was “How High the Moon” by Les Paul & Mary Ford. In 1953, at the Capitol Records tower in Hollywood, Kay Starr waxed her next single, “Half a Photograph” b/w “Allez Vous En.” Both sides made Billboard’s Top 20. In 1956, the world’s first all-colour TV station was dedicated — in Chicago. 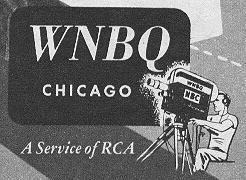 It was named WNBQ-TV and is now WMAQ-TV. In 1958, Buddy Holly’s Fender Stratocaster guitar was stolen from the Crickets’ station wagon before a concert that night in St. Louis. It was his second guitar to be stolen in that one week! In 1959, at an evening session at the Metropolitan Studio in New York City, Connie Francis taped both sides of her next MGM single, “Lipstick On Your Collar” b/w “Frankie.” Both songs would reach the Billboard Top Ten. In 1960, Freddy Cannon performed “Jump Over” and “The Urge” on ABC-TV’s American Bandstand. In 1962, the Billboard No. 1 Pop Hit was “Good Luck Charm”by Elvis Presley. In 1964, after a long day of filming on streets around London forThe Beatles first movie, Ringo Starr stated it had been “a hard day’s night.” Whereupon John Lennon was inspired to start writing the song of the same name on the back of an old greeting card. In 1966, the Rolling Stones album “Aftermath” was released in Britain. The first Stones album to contain all original material, it sold well over one million copies worldwide. 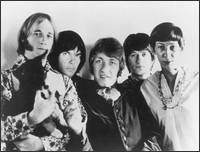 Also in 1966, Buffalo Springfield (which included Neil Young and Stephen Stills), performed in concert for the first time as the opening act for The Byrds at the Swing Auditorium in San Bernadino, Calif. In 1967, the second album by The Who, “Happy Jack,”was released in the U-S. The L-P contained a 10-minute mini-opera, “A Quick One,” which was also the album’s title in Britain. In 1968, Aretha Franklin was at Atlantic Records in New York City to tape the feminist anthem “Think,” which would quickly become her 7th Top Ten hit. In 1970, pioneer record company owner George Goldner died in New York City at 52. Goldner was one of the first to recognize that black groups could score on the pop charts if their records were produced with the white audience in mind. Starting with “Crying in the Chapel” by the Orioles in 1953, Goldner had great success with New York street corner groups. Some of the other acts he recorded included Frankie Lymon and the Teenagers, the Crows and the Chantels. Goldner eventually gambled away most of the fortune he made with his dozen or more record labels. In 1973, the Billboard No. 1 Pop Hit was “Tie a Yellow Ribbon Round the Ole Oak Tree” by Tony Orlando & Dawn. The song with a happy ending was based on a true story. In 1974, Izzy Asper took over the Global Television Network from founder Al Bruner. In 1975, at 3 p.m. CFRO FM 102.7 Vancouver Co-Op Radio signed on, after three months of trials. Initially CFRO broadcast for six hours a day. But by the fall it increased its schedule of community based programming to 75 hours a week. In 1977, having sold more than half-a-million copies, Lynyrd Skynyrd‘s first live album “One More For The Road” was certified as a Gold Record. In 1980, actor Raymond Bailey, best remembered as the banker on the NBC-TV sitcom “The Beverly Hillbillies,” suffered a fatal heart attack at age 75. In 1982, singer Billy Joel was seriously hurt in a motorcycle accident on New York’s Long Island. He spent a month in hospital recovering from a broken wrist and undergoing therapy. Also in 1983, the mother of singer Billy Preston, actress Ernestine Wade, who played the Kingfish’s wife Sapphire on The Amos ‘n Andy Show (both radio & TV), died at age 76. Still in 1983, the Australian group Men at Work released their second L-P, “Cargo,” during what was billed as the “Cargo World Premiere Weekend.” The album had actually been finished the previous summer, but was withheld because of the phenomenal success of Men at Work’s debut disc, “Business As Usual.” Even with the delay, both albums ended up in the Top Ten at the same time. Again on this date in 1983, Marvin Gaye (below) opened his first tour in seven years, in San Diego. In 1986, the group Simple Minds raised 50-thousand dollars for Amnesty International at a benefit in Los Angeles. Also on this date in 1986, .38 Special’s “Like No Other Night” became the first compact disc single released in North America. In 1989, a New York music landmark, the Lone Star Cafe, closed because its rent was becoming too steep. Such early rock stars as Bob Dylan, Linda Ronstadt, Keith Richards, Roy Orbison and Jerry Lee Lewis both performed and hung out at the Lone Star. In 1990, “In Living Color,” FOX-TV’s sketch comedy show starring its creators Keenan Ivory Wayans and Damon Wayans, along with David Alan Grier, began its four year run. This was also the breakthrough show for Canadian comic Jim Carrey. Also in 1992, Canadian actor William Shatner (Captain James T. Kirk) was inducted into the US National Association of Broadcasters Hall of Fame, along with his fellow Star Trek players Leonard Nimoy (Mr. Spock) and DeForest Kelley (Dr. Leonard ‘Bones’ McCoy). In 1993, British mystery writer Leslie Charteris, who created ‘The Saint’ of radio & TV fame, died at 85. In 1996, the rest of Grateful Dead singer Jerry Garcia‘s ashes were scattered near the Golden Gate in San Francisco. A smaller portion had been scattered in the Ganges River in India eleven days earlier. 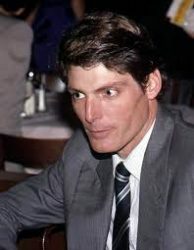 In 1997, actor Christopher Reeve received a star on the Hollywood Walk of Fame, honoring his bigscreen career. Also in 1998, in a first for Country Music Television, the network launched Faith Hill‘s Warner Bros. album “Faith” with a live concert by Hill and guests. 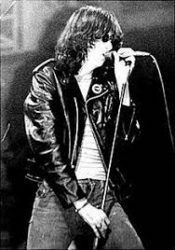 In 2001, singer Joey Ramone of The Ramones (real name Jeffry Hyman) died in New York after battling lymphoma. He was just 49. In 2002, the series finale of ABC’s “Once & Again” was broadcast. In 2004, Bill Rancic beat out Kwame Jackson to win the first season of “The Apprentice” on NBC. In 2006, Pearl Jam was the musical guest on NBC’s Saturday Night Live for the first time in 12 years. In 2007, at an AIDS awareness rally in Jaipur, India, actorRichard Gere spontaneously kissed actress Shilpa Shetty several times on the cheek. A local judge ordered the arrest of both Gere and Shetty, on the basis that the display of affection amounted to a public obscenity. In 2008, the mayor of Los Angeles, Antonio Villaraigosa proclaimed it to be “Mariah Carey Day” in his city. Also in 2008, the Canadian band Rush released a two-CD concert album, “Snakes & Arrows Live.” It had been recorded the previous October in Rotterdam, Netherlands. In 2010, Metallica continued its tour of Europe despite the eruption of an Iceland volcano that spewed so much ash into the air that all Euro flights were cancelled. So the band climbed into busses, a mode of transportation they’d avoided since ‘86 when a tour bus accident took the life of original bassist Cliff Burton. The 28-hour trek took Metallica from Oslo to their next show in Latvia. 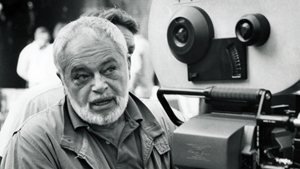 In 2012, Emmy-Award winning director Paul Bogart, whose resume included the likes of TV’s All in the Family, The Defenders, Bagdad Cafe, Get Smart, CBS Playhouse, and a dozen TV movies including Mark Twain Tonight!, died at age 92. Also in 2012, rocker Ted Nugent made inflammatory comments about President Barack Obama during a radio interview at the National Rifle Association (NRA) convention is St. Louis. Nugent told the gun rights group he would be “dead or in jail” if Obama was re-elected. His rant led to a meeting with the Secret Service, and the controversy caused the NRA to pull video of Nugent’s interview from their website. In 2013, two pressure cooker bombs exploded during the Boston Marathon at 2:49 pm EDT, killing 3 and injuring an estimated 264 others. TV networks preempted programming to join cable news in covering the breaking terrorist bombing story. In 2014, Little Joe Cook, a rhythm and blues singer and songwriter, best known as the lead singer of Little Joe & The Thrillers, whose “Peanuts” was a Top 40 hit in 1957, died at the age of 91. 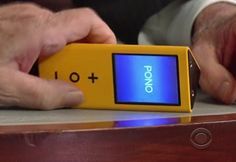 Also in 2014, Neil Young’s Kickstarter campaign to fund his PonoMusic player (pictured) raised over $6 million, eight times the goal, to become the third highest-funded campaign in Kickstarter history. In 2015, Toronto-born actor and comedian Jonathan Crombie, best remembered for his role as Gilbert Blythe in the CBC TV movie Anne of Green Gables in 1984 and its two sequels, died of a brain hemorrhage at age 48. Also in 2015, Vancouver was where Faith No More launched their tour following a five-year break. The trek was in support of “Sol Invictus,” their first album in 18 years. In 2017, Spokane-born actor Clifton James, who specialized in playing southern characters, died of complications from diabetes at age 96. He is perhaps best known for his role as Sheriff J.W. Pepper in two James Bond films. He also had key roles in two 1981 TV series, Texas and Lewis & Clark, and a recurring part in 1996 in All My Children. 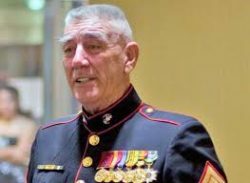 In 2018, R. Lee Ermey, who turned his experience as a Marine Corps drill instructor into a notable role in the Oscar-nominated 1987 film “Full Metal Jacket,” and went on to three decades of TV guest roles and voice acting, died due to complications from pneumonia at age 74. Actress Julie Sommars (Matlock, The Governor & JJ) is 77. Singer-guitarist Dave Edmunds is 75. Actor Michael Tucci (Diagnosis Murder, It’s Garry Shandling’s Show, Paper Chase) is 73. Actress Lois Chiles (Dallas) is 72. Actress Amy Wright (Amy & Isabel, To Dance With the White Dog) is 69. Actor Sam McMurray (Cristela, The King of Queens) is 67. Actress Emma Thompson (Angels in America) is 60. Actor Thomas F. Wilson (Ed, Ghost Whisperer, SpongeBob SqarePants) is 60. Actress Sally Dexter (Poldark) is 59. Actor/voicist Tom Kane (Archer, Star Wars:The Clone Wars, The Powerpuff Girls) is 57. Actor Alex Veadov (Svetlana) is 57. Actress Lydie Denier (Acapulco H.E.A.T., Tarzan, General Hospital) is 55. Actress Kamala Lopez (The Eddie Files) is 55. Actress Linda Perry (The X Factor) is 54. Actor Darin Cooper (The Detour, JAG) is 53. Singer Samantha Fox is 53. Guitarist Ed O’Brien of Radiohead is 51. Actor Flex Alexander (One on One) is 49. Actor Andrew Daly (Review, Eastbound & Down) is 48. Actor Danny Pino (Law & Order:SVU, Cold Case) is 45. Actress Fay Masterson (The Last Ship) is 45. Actress Susan Ward (Sunset Beach, Make It or Break It) is 43. Actress Kellee Stewart (My Boys) is 43. Country singer Chris Stapleton is 41. Actor Luke Evans (The Alienist) is 40. Drummer Patrick Carney of The Black Keys is 39. Bassist Zach Carothers of Portugal. The Man is 38. Vancouver-born actor Seth Rogen (Freaks & Geeks, Undeclared) is 37. Actress Alice Braga (Queen of the South) is 36. Singer-songwriter Margo Price is 36. Actress Shannon Farrara (The King of Queens, Leah Remini: It’s All Relative) is 35. Drummer De’Mar Hamilton of Plain White T’s is 35. Actress Samira Wiley (Orange is the New Black) is 32. Actress Leonie Elliott (Call the Midwife) is 31. Actress Emma Watson (Ballet Shoes, Live w/Regis & Kelly) is 29. Actress Madeleine Martin (Hemlock Grove, Californication) is 26. Actor Cody Christian (Teen Wolf, Pretty Little Liars) is 24. Actress Maisie Williams (Game of Thrones) is 22. Actor Nicholas Roget-King (Tell Me You Love Me) is 21.